Won't They Add More Boats...? Won’t They Add More Boats…? Reader: …But Kuppy, won’t they build more boats and crush rates? So Kuppy; as rates have started spiking in product tankers, why won’t they over-order and glut the market again, like they always do? Let’s start by recognizing the obvious here, most ship owners are bankrupt. Sure, they own lots of boats, but they also owe lots money—often more than the boats are worth. This is what happens at the bottom of the cycle. In fact, the boat owners are only kept alive because the lenders do not want to recognize losses. Let’s do some math here to show what I mean. Since I’m long a hell of a lot of Scorpio Tankers (STNG) let’s look at an LR1 which costs you about $43 million new, lasts for 20 years and has a scrap value of about $6 million. (I apologize in advance for all the math here). To start with, over its life, the boat will experience $37 million in depreciation ($43 million – $6 million) over 20 years or $1.85m a year + the cost of special survey & recurring maintenance. Hence you need to earn about $2.5m a year in net margin or $7,000/day to break even during the ownership of this boat (I’m rounding a bit—deal with it). If your operating costs are $7,500/day including corporate overhead, you need $14,500/day ($7,000 of depreciation and maintenance + $7,500 of operating costs) in daily charter rates just to have a zero return on capital. This excludes down-time for special survey/maintenance and the fact that most vessels only get 90-95% utilization while waiting on cargoes, etc. Let’s call it $16,500/day of all-in daily charter rate to have a zero return on un-levered invested capital. If you wanted to earn a 10% return on capital through the cycle (probably a minimal rate of return given the volatility and risks involved), on $43m of capital employed you need to earn $4.3m a year, or $11,800 of daily profit. So, adding it all up, you need $28,300/day ($16,500 break-even + $11,800 for a 10% ROA) on a LR1 to earn an un-levered 10% return on capital in this industry. Needless to say, besides a few brief spikes, LR1’s have not been over $28,300 for the better part of a decade. In fact, they’ve mostly been around $7,000-$12,000 for the past decade. Hence, if you’ve owned one of these things, it’s become a black hole for capital as you can barely cover your operating costs and certainly don’t earn enough to cover depreciation. (For that matter, while companies like to talk about EBITDA to their shareholders, trust me, bankers are watching that depreciation bleed the equity dry). So, going back to my original point, after a decade, anyone owning an LR1 is broke. The banks are about to foreclose (if they haven’t already). These guys aren’t in a position to order more boats. They can barely afford to keep their boats in service. Even if ship owners were cashed up, there has been a massive wave of bankruptcies in the ship building sector. The builders that have survived, are booked solid with scrubber installations. While there are still a few berths left, if the industry as a whole wanted to order any sizable number of boats, they are looking at a multi-year wait before the yards are able to deliver. That’s a long time in shipping. Besides, why would you order new boats when you can get a 5-year old boat today for a substantial discount to the new order price? Over the years, shipping has been net-destructive of capital (like airlines) but you need occasional brief periods of strong earnings or otherwise the whole industry melts away. Hence, at some point in the cycle, these boats need to earn an acceptable return on capital for long enough to bring new capital into the industry. As this is a highly cyclical industry, those brief periods experience stunning profits, but it is ultimately self-correcting, as new supply comes and crushes everyone. Due to IMO 2020, I think this cycle will be steeper than prior ones and possibly last longer. How high can LR1’s go? Why couldn’t they trade at $50,000 for 3-4 years? That would be a 30% return on un-levered capital. It wouldn’t be impossible for LR1’s to earn $100,000/day during seasonally strong periods. It would allow these shippers to build up their capital bases and order more vessels (they can’t raise capital now as the whole sector trades at huge discounts to NAV). Honestly, I don’t know how high rates go. That’s not the point I’m trying to make. Instead, I’m trying to show just how destructive ZIRP/NIRP have been in allowing insolvent shipping companies who lose $10-20,000/day per boat to not only stay alive, but keep ordering more boats and hope to make it up on volume. That game seems to finally be done. 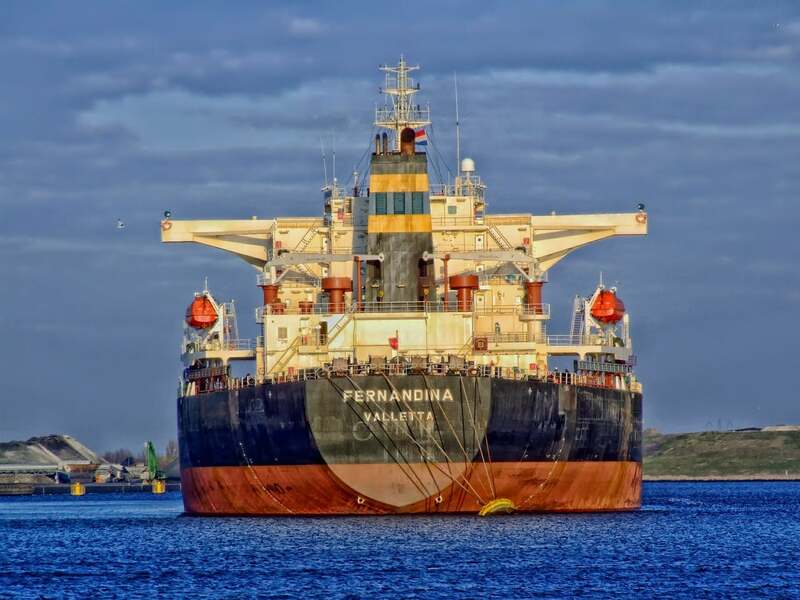 Banks have tightened up lending standards and with all the scrubber installations, most ship-yards have minimal spare capacity for new construction. Besides, boat owners are broke and cannot order even if they wanted to. Meanwhile, IMO 2020 looks like it may set off a super-cycle, similar to how China set one off 15 years ago. I am STUNNED that investors aren’t all over this sector as you can buy cyclical businesses at huge discounts to NAV at a time when the cycle really does seem to be turning. For that matter, the Baltic Clean Tanker Index hit a new yearly high this week, during the seasonally weakest period of the year. As IMO 2020 starts to ramp up in the fall, I think rates go parabolic. If that happens, STNG isn’t still trading in the teens (where is currently is).